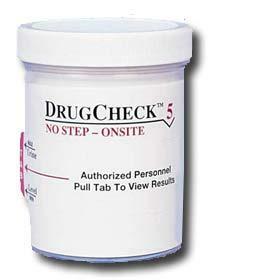 DrugCheck is one of the most effective "PRIVATE" Drug Screens available. You collect the specimen and in 5 minutes you will find out the results in the privacy of your own home or business. Visit Our Store: Bulk prices - 25 cups or more. New - Add an Alcohol Test Strip for $1.75!! Pricing Information: Have Someone Contact Me. Choose from 5 through 10 panel test cups. The 15 panel cup is coming soon. the 10 panel is for "Street and Perscription Drugs". Testing that is part of the application process before an offer of employment is made. Testing that is part of the hiring process after an offer of employment is made, but before hiring actually occurs (a so-called conditional offer of employment). Testing that occurs sometime soon after the individual begins work, but passing the drug test is made a condition of employment (i.e., even though the individual is already working, his or her hiring will not become final unless the individual passes the required drug test). The testing of employees who are chosen on a neutral-selection basis without advance notice. Random testing also includes the testing of all employees in a company (or a particular division of the company) when the date and time of the testing are unannounced and randomly selected. This is synonymous with probable cause and reasonable suspicion testing. Typically, the cause required is an objective, factual, individualized basis for testing, such as when an employees behavior or physical appearance suggests drug use or possession of drugs, or there are other indications of a violation of the companys substance-abuse prevention policy. The testing occurs when employees are given advance notice of the date and time that testing will take place. It is often conducted as part of a regularly scheduled employment physical or fitness-for-duty medical examination. This testing of an employee who is involved in an on-the-job accident (vehicle or otherwise) which may have involved human error, and which causes a fatality, a serious injury, or significant property damage. This testing occurs during an employees participation in a rehabilitation program and/or upon the employees return to work. Testing of employees whose job responsibilities are safety-sensitive. 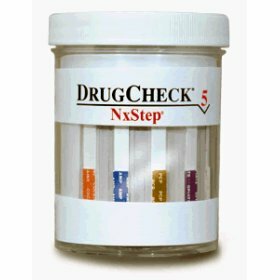 drug testing, drug screening, drug tests, drug test, drug test kit, urine test, marijuana, drug abuse testing, cocaine, opiate, home drug test, employee drug testing, workplace drug testing, employment drug testing, pre employment drug testing, saliva drug testing, oral drug testing, home drug test kits, drug screen, drug screening, drug free workplace, 10 panel drug test, 5 panel drug test, 9 panel drug test, drugcheck, alcohol test Drug screening is part of the application process before an offer of employment is made. Drug tests are part of the hiring process after an offer of employment is made, but before hiring actually occurs (a so-called conditional offer of employment). Urine or breath testing that occurs sometime soon after the individual begins work, but passing the drug test or alcohol test is made a condition of employment (i.e., even though the individual is already working, his or her hiring will not become final unless the individual passes the required drug test results). Marijuana, cocaine and opiates are some of the drugs tested for in our 5 panel, 9 panel and 10 panel drug test kits. There are also saliva drug testing, oral drug testing and home drug test kits.